Recently, we shared a FREE Circus Bingo set with you, featuring fun, nostalgic circus art. When we made these, we were thinking how fun it would be to have a circus themed party, either for a birthday or just to have a get-together. It might be a really fun way to kick out the winter doldrums, too! 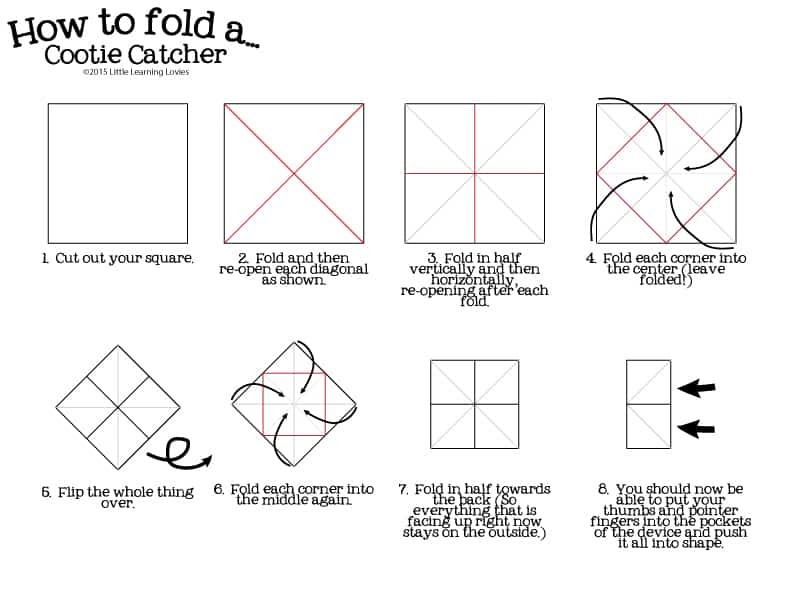 To help you make the party extra fun, we thought you might like to print and fold these fun Cootie Catchers! This could be a craft during your party, or you could make them ahead of time and use them as a gift for each attendee. 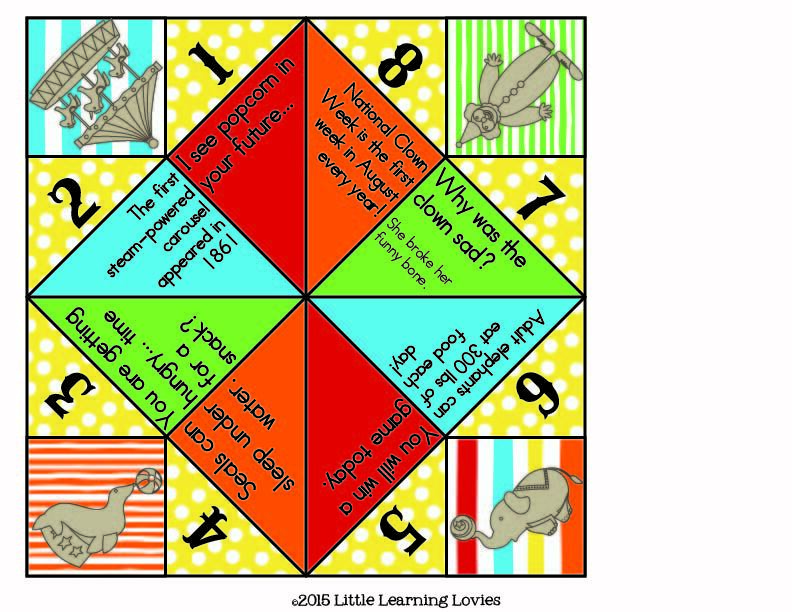 This cootie catcher features 4 interesting facts about things related to the circus and 4 funny circus jokes. Kids will have fun playing with this over and over again. We featured the same nostalgic circus graphics to make for a lovely addition to your themed party! Ready to Download Your Circus Themed Cootie Catcher? 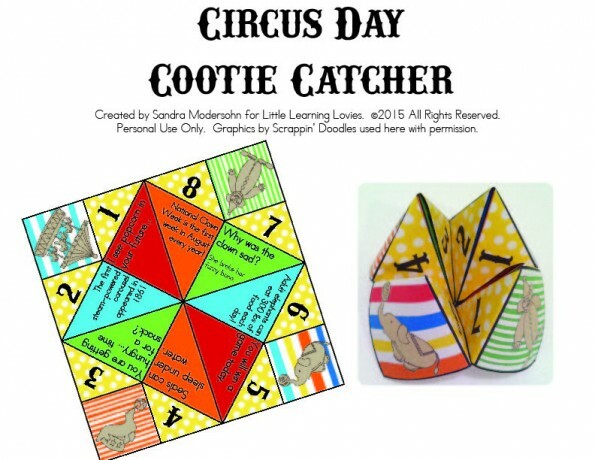 How will YOU use this fun Circus Themed Cootie Catcher? Previous Post Subscriber Exclusive FREEBIE! Circus Time BINGO Next Post Make Over Your Mornings!